Well me being from Kentucky I just had to try Balmshot. My oldest son Landon keeps chapped lips but getting him to use lip balm is out of the question. He says, "It was girly to use lip balm." My problem was solved when I saw Balmshot lip balm. Its lip Balm in a really cool shotgun shell. The girly girl in me loves lip gloss and the outdoorsy part of me loves the shotgun shell shape! Have you ever had a lip balm go to goop in your pants or purse? 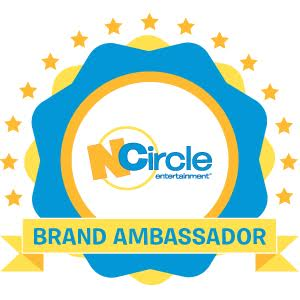 I know I have! It ruins the lip balm and it causes such a mess. The shotgun shell dispenser Balmshot incorporates into their lip balm product prevents it from dispensing unless you want it to and the lid will not come off unless you take it off. A lot of other lip balms smash and twist and just end up ruined; not Balmshot! Balmshot also incorporates SPF 15 into their lip balm for superior sun protection. 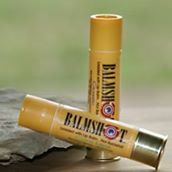 Balmshot is truly for the outdoor enthusiast. Balmshot comes in four lip balm varieties Classic, Cool Mint, Pure Pink and Pink Camo. Mintyshot provides protection against bad breath. Balmshot makes a quarterly donation from the proceeds from every purchase of Pure Pink and Pink Camo lip balms to the Mountain States Tumor Institute which helps needy women pay for mammograms, biopsies and breast cancer treatments. Balmshot is available at Walgreens and many other locations , To find a location near you check out Balmshot's location finder here.